Burwell Cambridgeshire. The old route of the B1102 road into Burwell from Quy. 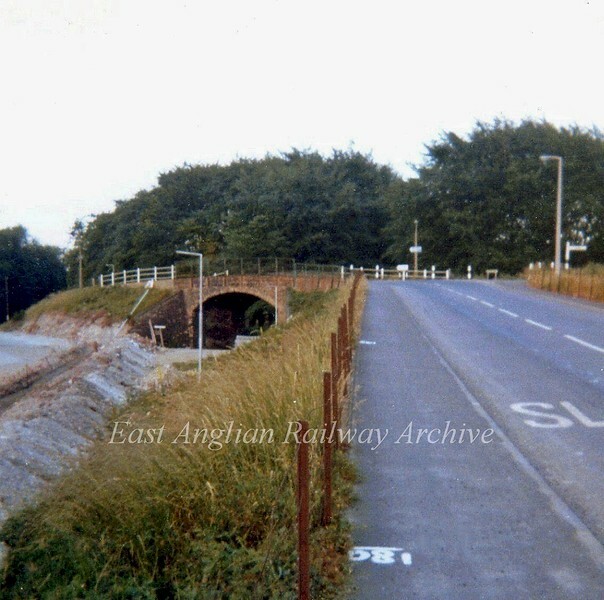 On the left is the new road under construction which goes right through where the platform and station buildings once were.. No trace of the bridge remains today, It was demolished by blowing up just days after the picture was taken. It carried the plate, bridge No.2241. Image dated June 1973.